Celebrating the life of Newell Lester Lane Jr.
Be the first to share your favorite memory, photo or story of Newell. This memorial page is dedicated for family, friends and future generations to celebrate the life of their loved one. 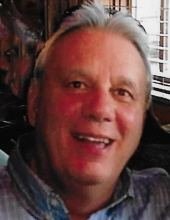 Obituary for Newell Lester Lane Jr.
Newell L. Lane, Jr., known by so many and loved by all, was peacefully called home on Saturday, February 9, 2019, as Heaven needed a wonderful husband, loving father, cherished Gran (grandfather), friend, coach, mentor— in short— a hero. A man who loved people, was brave enough to do what was right, always willing to help with his trademark smile, and no matter how you felt, would always find a way to make you feel everything would be all right. He lived 1000 years in his 67 calendar years because he embraced all that life had to offer. He was a family man, friend, coach, mentor, co-worker, brother, teammate, hunter, singer, storyteller, fisherman, sports fan but most importantly, he was someone who would always be there for you when you needed him. He married the love of his life Judy 44 years ago with whom he had two children. He is deeply missed by his daughter Brandee Hoglund, husband Erik, their son Karsten and his son Halston, wife Renee, their children Isaiah, Sydney and Parker. Newell is reuniting with his parents, Newell and Helen Lane, and his sisters Gail Armstrong and Patricia. He is survived by two brothers Steve and Scott Lane and his sister Connie Douglas. Newell was a man with many interests. He loved taking his family on vacation, putting his toes in the sand, his job of 29 years at Siemens working as a Material Logistics, Master Scheduler & Specialist,, spending time outdoors—especially at “the Pines,” sweating it out in the gym or on the field, listening to music, watching TV (NCIS) in Gran’s chair, and hanging out with Santa and his family and friends for the annual Lane Christmas party. He graduated from Oak Ridge High School in 1969, then attended Hiwassee College where he played basketball and baseball. He was a member of Cokesbury United Methodist Church in Knoxville, where he volunteered as a hospitality greeter. The family will receive friends Thursday, February 14, 2019 from 5 – 7pm at Weatherford Mortuary. The funeral will follow at 7pm with Pastor Kyle Keeton officiating. Family and friends will meet on Friday at 11am at Oak Ridge Memorial Park for a graveside service. In lieu of flowers, the family requests contributions be given to establish a Tennessee Travelers Scholarship Fund to assist disadvantaged children in their enjoyment of basketball. Contributions may be sent to PO Box 4882, Oak Ridge, TN 37831. While we are left to remember how he touched our lives in some way and asking why he had to leave us so soon, the only reason is, Heaven needed him more. To send flowers or a remembrance gift to the family of Newell Lester Lane Jr., please visit our Tribute Store. "Email Address" would like to share the life celebration of Newell Lester Lane Jr.. Click on the "link" to go to share a favorite memory or leave a condolence message for the family.